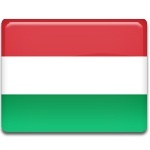 Memorial Day of the Republic is an official remembrance day in Hungary observed on February 1. However, it does not have the status of the public holiday therefore it is a working day. Hungary has been proclaimed a republic more than once. After the First World War, the Austro-Hungarian Empire ceased to exist, and in the wake of its dissolution the Hungarian Democratic Republic was established in 1918. It was succeeded by the Hungarian Soviet Republic and the Hungarian Republic. All of them were short-lived, and were replaced by the Kingdom of Hungary in 1920. After World War II, the Kingdom of Hungary was dissolved and replaced by the Second Hungarian Republic. A new parliamentary republic was established on February 1, 1946. Zoltán Tildy became its president. However, by 1949 the Communists had become the largest political power in the country. In August 1949, the country was officially renamed to the People's Republic of Hungary, and the communist regime was firmly established. Memorial Day of the Republic was first observed as a memorial day in 2006 to celebrate the sixtieth anniversary of the proclamation of the short-lived republic in 1946 and has been held every year since then.